With a worldwide production of 607 million tons wheat is the third most important crop following maize and rice. In Europe, bread wheat is without doubt the most important broad-acre crop, and the European Union with a production of 121 million tons is one of the most significant wheat producers in the world. However, wheat production is decreasing. In 2004 worldwide wheat production accounted for 632 million tons and within the European Union for 149 million tons (FAO STAT 2007). Concurrently the request for wheat is increasing especially because of the upstream demand for wheat products in Asia. In 2007/08 these trends resulted in the lowest level of the world’s wheat stocks since 25 years (USDA 2008). Some major factors interacting with the world wheat production are due to yield instability as a result of the global climate change. The impacts of global climate change are also being observed in Europe and projected to become more intensive. Extreme weather events, including heat waves, droughts and floods, are expected to become more frequent and intense. Precipitations are predicted to decrease in southern, Central and Eastern Europe and increase in the north/north-west. A decrease in summer precipitation, an increase in the number of consecutive dry days, accompanied by rising temperatures, would inevitably lead to both reduced summer soil moisture and more frequent and intense droughts. The regions most prone to an increase in drought risk are the Mediterranean and widespread regions of Central and Eastern Europe. The combined effects of higher temperatures and reduced mean summer precipitation would enhance the frequency of heat waves and droughts and result in more pronounced increase in year-to-year variability. Europe experienced a particularly extreme climate anomaly during 2003, with July temperatures up to 6.8 C above long-term means, and annual precipitation deficits up to 300mm/year, 50% below the average. In 2003 the wheat production in the European Union has been decreased significantly and Central Europe's wheat production was down 27% compared to average production form 2002 (USDA 2006). This productivity reduction can be explained by that rainfall deficit and extreme summer heat. Taken the global climate change into account the probability of a ‘year 2003‘ is expected to increase 20 fault in the second half of the 21st century. Primary goal of European wheat breeders is the development of high yielding varieties selected for high-input environments where water supply is not a major limiting factor. According to the predictions concerning the climate change environmental conditions in Europe will still generally favour these high yielding cultivars in most seasons in Central Europe, but year-to-year variations regarding temperature and precipitation patterns will increase. These trends will make it difficult to maintain yield stability especially in wheat growing areas with poor soils. 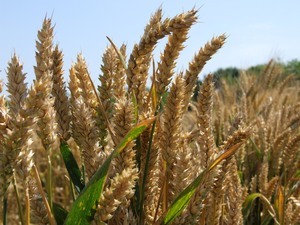 In order to meet the increasing request for wheat it is necessary to develop cultivars with high yield stability and high baking quality even under unfavourable environmental conditions. This project will help to develop high yielding winter wheat cultivars less susceptible to water shortage and heat. Such wheat cultivars with improved yield stability and high quality under abiotic stress are considered a sustainable and economically viable solution to wheat production and will help to maintain the leading position of the European Union at the global wheat market. This proposal will focus on winter wheat production in Austria, Germany and Hungary because these three countries reflect nicely the different climate conditions of Central Europe and provide about 30% of the wheat production within the European Union (FAO 2007).